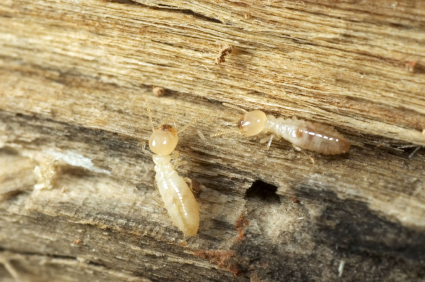 Termites are one of the worst nightmares for any homeowner. When they infest, they colonize very rapidly; munching on the wood that’s in their way. While termites are notorious for eating wood, damaging the home, they are also very harmful to the health of the residents inside. Millions of dollars are spent on termite treatments and prevention. 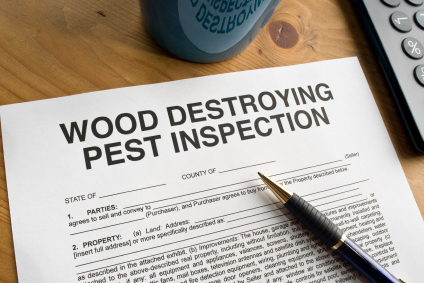 Before you spend too much on termite extermination, get your home inspected. It’s imperative to know the current status of any termite infestation. Knowing the category of the termite investigation will save additional damage that can be caused by the termites. Although most termites are subterranean insects, meaning they are generally underground, there are also visible signs above the ground to detect their presence. In determining the current status of a termite infestation, first you need to recognize the signs. Look for termite tubes, also known as mud tubes, in and around the house. Knock on any wood structures in your home and see if you can feel any hollowness in the wood. A professional termite inspector will start looking for the signs of a termite infestation on the exterior of your home. If your home does have termites roaming around, then their signs will be visible outside. He will thoroughly inspect the perimeter of the home, and also the foundation. The termite inspector will be looking for actual termites, and the termite tubes. If your home has any dead bushes or wild growth, then the inspector will ask you to remove them to keep your place free from any kind of infestation. 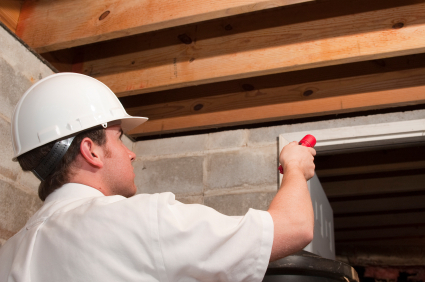 After completing a thorough inspection of the exterior of a home, the inspector will move towards the interior. Termite inspections are more difficult inside the home; as compared to the exterior. This is because there are many more places inside the home that need to be checked. Termite tubes can be almost anywhere and everywhere; on the windows, corners, inside closets, in the kitchen cabinets and behind heavy appliances. If there is heavy infestation, then the tubes are typically found inside the walls and floor throughout the home. The crawl spaces and basements of homes are the favorite hiding place for termites. It would be a big mistake to avoid inspecting them. The home inspector will have the appropriate equipment needed to inspect every crawl space in the home, and will have the expertise to know if a home is even the least bit susceptible to termites. If you think the attics are high above the ground and there is little chance of finding termites there then you are wrong. You will be surprised to know that many times the infestation is not found anywhere else in the home but attics. So this makes it necessary to inspect the top level of the home as much as the other parts of the home. Termite inspection does not involve any treatment related to termite eradication, but it is just the survey of the home to determine the current status of infestation. This will help in knowing where there are signs of termites in your home, and how much damage has already been caused. Such inspections also help you in selling your home, as many buyers prefer to have the home thoroughly inspected before buying it. If it is determined that a home is in deed infested with termites, professional termite control will be needed to exterminate the destructive pests. Ethen Hunt is the author of this article. He writers for New Jersey Termite Inspector and recommends his services if you are looking for Termite Inspection. I own a pest control company in brooklyn. Many times, people do not understand the severity of a termite problem until its too late. The fact of the matter is people who are cheap dont want to pay, and boy do they pay the price. We try to make them understand how important termite inspections are every few years even if you dont suspect you have termites. Great blog post! My mom is paranoid and thinks that she has termites in her home, and asked me to find her an inspection service. I think that being able to read about what goes into a termite inspection would be good so I could take a look first to see if I can find any traces before we spend money on it. I’m glad that you talked about looking into the crawl spaces and basement to be sure that there isn’t any damage, but after reading, I’m not sure that I would be able to do a termite inspection. I’ll have to see if I can find a professional just to be sure and to make my mom happy. Thanks for the info!